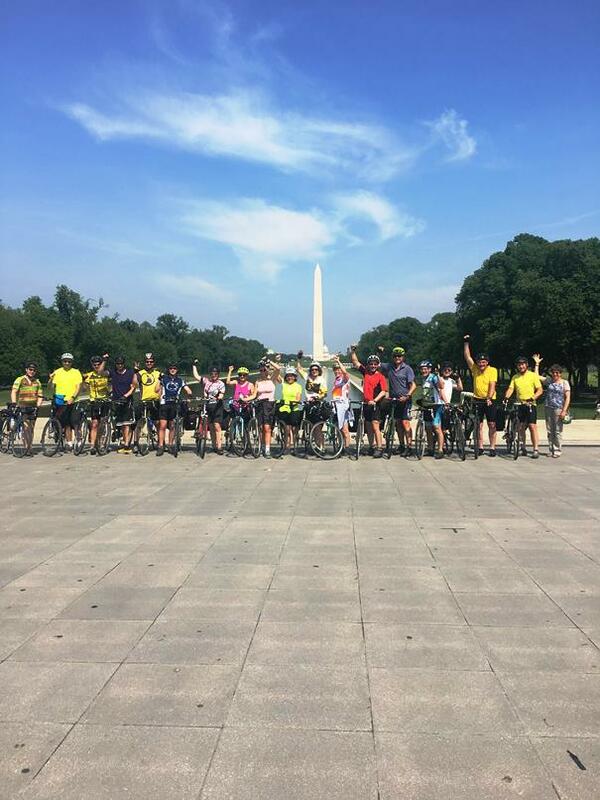 This past month, PA Interfaith Power and Light (PA IPL) organized two groups totaling 18 bicyclists to ride from Philadelphia and State College, PA to Washington, DC. 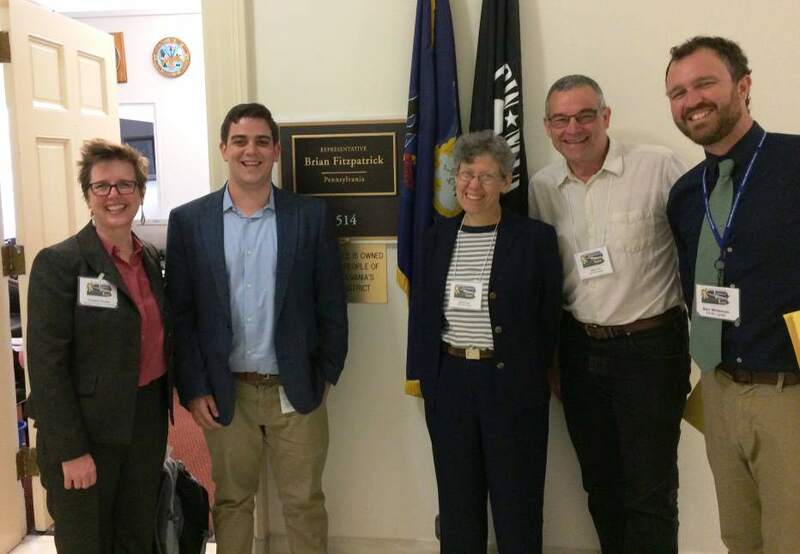 Our cause was to gather as an interfaith group to travel to our nation’s capital to meet with our legislators, to make a moral case for long term environmental care and clean energy legislation. Riding bikes helped create relationships within the diverse groups, as well as demonstrate to our legislators our commitment to care for the environment in our travel. 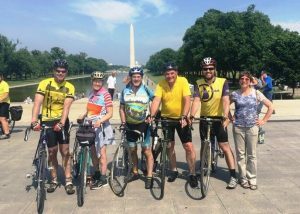 Three pastors with ties to Franconia Mennonite Conference participated in Philadelphia to DC ride, including myself, Mike Ford from Blooming Glenn Mennonite, Conference Youth Minister John Stoltzfus, and former Associate Pastor at Salford, now Campus Pastor at 3rd Way Collective at Penn State, Ben Wideman. Ben, who rode in the past with the State College group, initiated this riding group from eastern Pennsylvania. 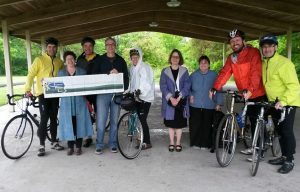 In addition to the three Mennonite pastors, our Philadelphia group consisted of two Jewish rabbis and a SAG (Support and Gear) wagon driven by a Unitarian Universalist minister. Sharing with each other about our faith traditions was fascinating and enlightening. Daily discussion and daybreak rituals mixed Christian prayer, poetry, Jewish blessings, song, scripture, and the blowing of the shofar (ram’s horn). Particularly with our Jewish friends, we found an amazing amount of commonality in the history of our people and their persecution and migration around the world. People from various faith communities supported us along the way. 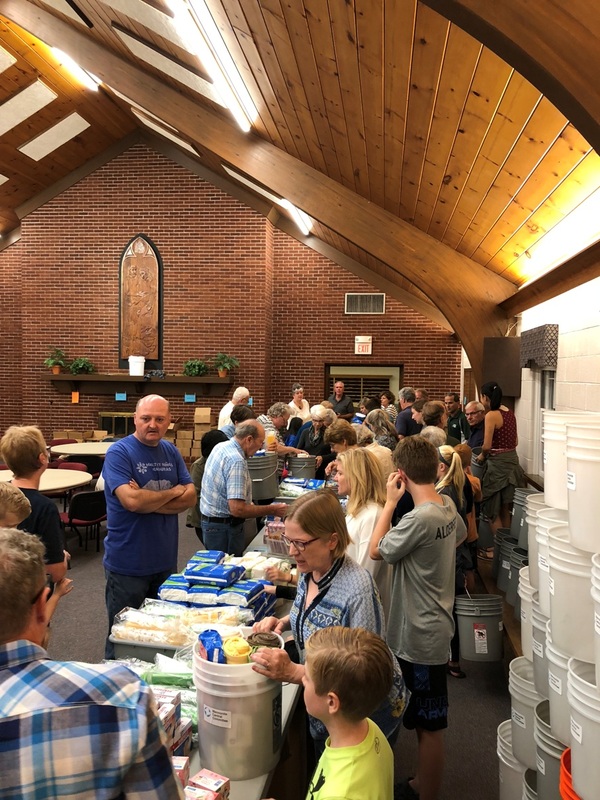 Lodging, meals, and hospitality were provided by a UCC minister’s family, a Presbyterian church, the House of Peace (Baltimore), a Jewish synagogue, and an elderly Quaker couple. 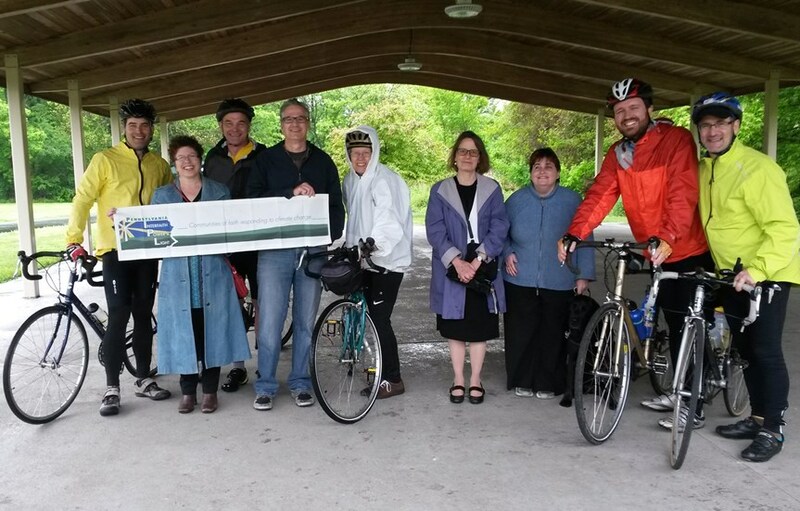 Part of the purpose of our ride was to fundraise to support the work of PA IPL, and over $15,000 was donated. 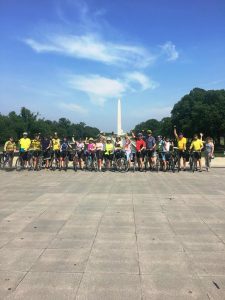 The ride took us from the oil refineries of South Philadelphia to beautiful countryside, challenging hills, and busy city streets. 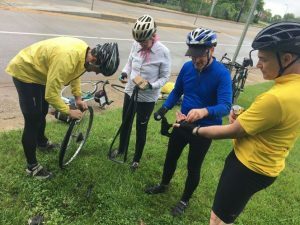 The State College crew rode 200 miles over 5 days, while the Philadelphia contingent tallied 180 miles in 3 days. 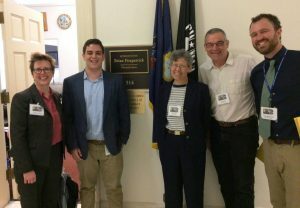 Our final day was spent off the bikes on Capitol Hill, meeting with Pennsylvania Senators and Representatives to encourage them to work on bipartisan efforts and existing bills that take a long term look at creation care and stewardship through greater support for renewable, clean energy sources. The trip stirred in all of us a deeper desire to inspire and educate others to heed God’s directive to be good stewards of our common home. You can read more about the trip here. Beginning in July, 2017, Mary Nitzsche will join the Franconia Conference staff as Associate Executive Minister. This role will include the work that was previously classified as Conference Pastor. 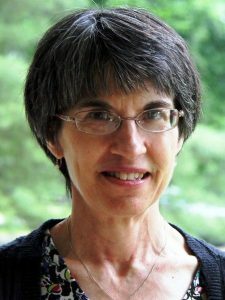 She will serve as primary staff person for the ministerial committee and assist in pastoral accompaniment with various groups within Conference, such as with Conference chaplains and retired leaders, while also serving as the primary connection with Mennonite Church USA, attending denominational meetings, CLC and working with credentialing processes. Mary is well known throughout Conference, having served as a credentialed leader in the role of Pastor of Pastoral Care and Spiritual Formation at Blooming Glen Mennonite (PA) for the past nine years. Mary has also served as the Conference Board Ministerial Committee Chair and thus a member of the Conference Board since 2013. She has resigned from these roles to step into her position as Conference staff. 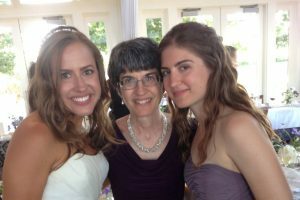 In addition to her work within Franconia Conference, Mary has also served as a Regional Pastor with Ohio Conference for 12 years, she worked as a counselor within the Church Relations office at Goshen College, and early in her career was an elementary school teacher. Mary holds a Master’s degree in pastoral counseling from Ashland Theological Seminary (OH), a Bachelor of Arts in Elementary Education from Goshen College (IN) and an Associate of Arts in Liberal Arts from Hesston College (KS). 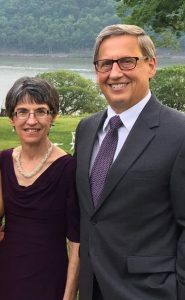 Mary is married to Wayne Nitzsche, pastor of Perkasie Mennonite Church. They have two adult daughters: Alison, living with her husband, Michael, in Long Beach, California, and Megan living in New York City. Mary and Wayne are Midwest natives and have both lived and served in a variety of congregational and conference settings. For fun and relaxation, Mary enjoys walking/hiking, knitting, working Sudoku or jigsaw puzzles, sewing, and baking. Growing up in a dominantly Catholic community, I annually had ash envy. 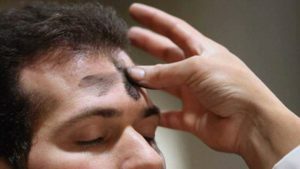 There was something about that mark of the cross on the forehead, the smear and the audacity of wearing it out and about in town and at school that made me want to be marked similarly. This year I joined the shared worship at Blooming Glen, jointly planned with Deep Run East and Perkasie congregations. Each of the congregations’ pastoral leaders had a part. I found my eyes becoming full as I watched them mark each other’s foreheads, after finishing marking those who came forward. There was something both beautiful and awful in the fragility of the statement “from dust you’ve been created, and to dust you shall return,” being spoken to pastoral colleagues I know and love. “Do you not know what the holy one can do with dust?” It’s a serious question, written poignantly. The dust of human existence breathed on by God becomes true life and even resurrection. Until then, we have these fragile days of marking, of honoring life, of sharing generously, of witnessing profoundly, of journeying together in sickness and in health, ’til death do we part. 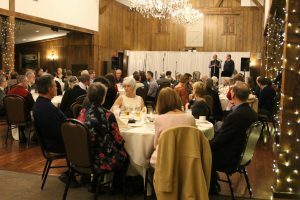 Last Thursday, we honored the relationships we have with our credentialed leaders in an evening dinner with music. It was a lovely night with good food and fellowship around tables while listening to some Gospel Folk music by The King’s Strings. It felt like an extravagant night out for some of us. 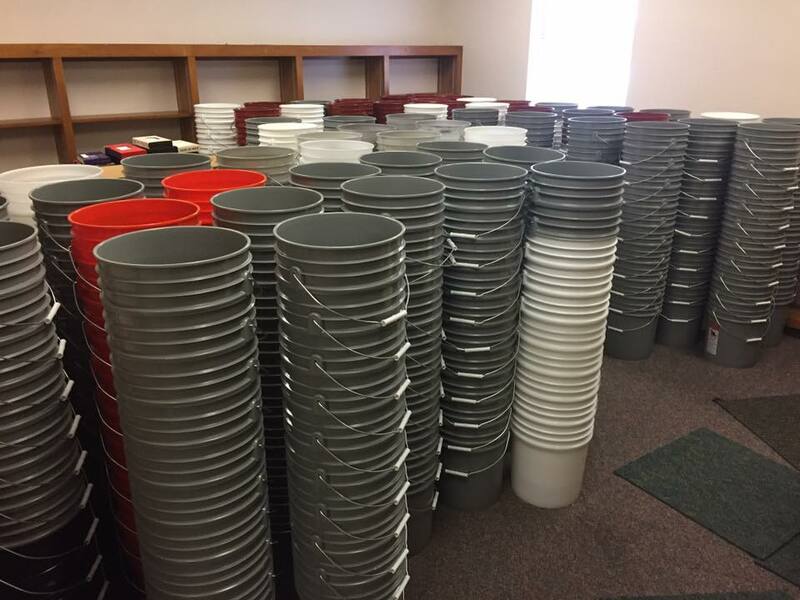 A few pastors incredulously and skeptically wondered how the costs had been covered. Two families from our community paid the bill as a gift, to show their appreciation for our credentialed leaders and conference. Our pastors who attended felt honored. It’s one of the ways we honor life’s fragility, through generosity and appreciation. I’m grateful for our donors and our time together. We set out now into these 40 days of journey toward the cross and resurrection. Some of us are fasting from sugar or social media. My catholic cousins often refrained from chocolate or soft drinks. A recent suggestion I appreciated invited us to give away something every day. They are all acts of devotion or attempting to focus direction differently. These can be meaningful practices that stretch and strengthen our spiritual reflexes and muscles. The Hebrew prophets repeatedly provoked honest service, pure-heartedness, and justice-seeking & doing over showy displays. Our religiosity and practice, even during holidays, that help tell the story of our faith have little meaning without right relationships. 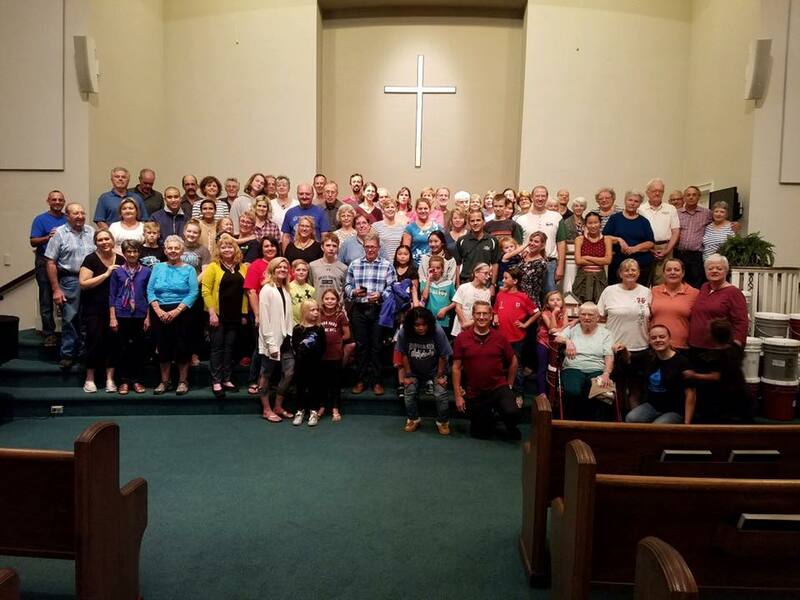 We continue to work and hope across our conference, our cities and towns, our country and all the world of sharing God’s extravagant and creative love incarnated in Christ and also through us when we live out the invitation in Isaiah to seek justice, share generously and relieve the burdens of those who struggle. This is our journey this season of Lent, and always.